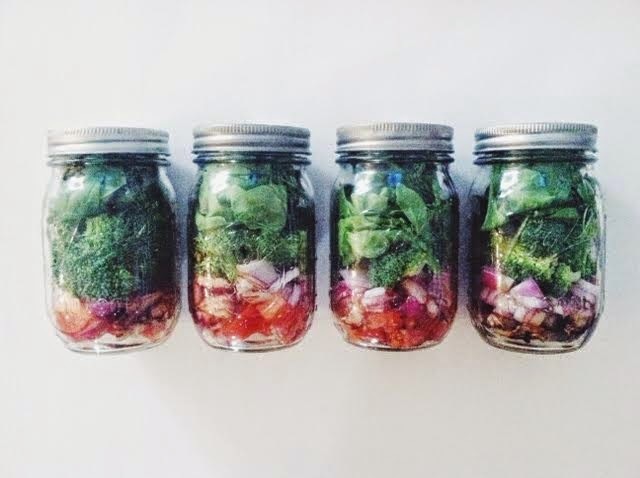 Meal prep Sunday included me making salads in a jar. Super easy, and great to just grab-and-go. Super easy to make, and it's easy for all the Whole30 peeps.